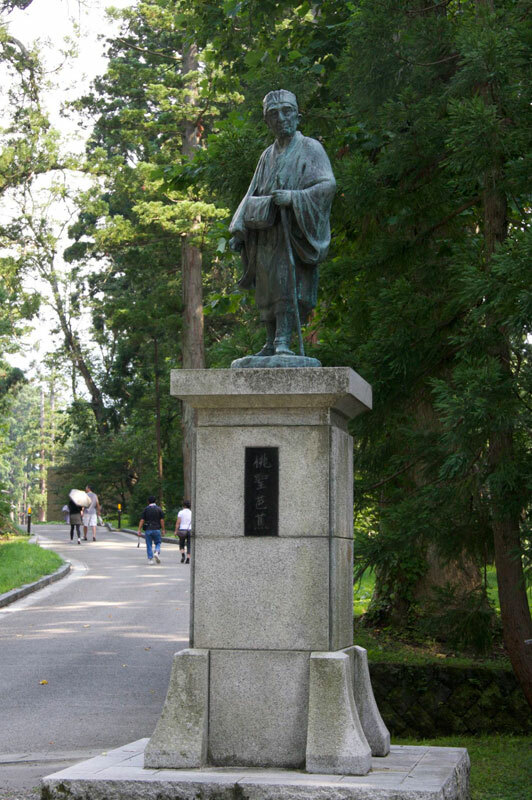 Matsuo Basho left Bashoan near Fukagawa in Edo on March 27, 1689 accompanied by his apprentice, Sora Kawai for a journey that lasted 142 days until he reached Ogaki in Gifu Prefecture on September 6th. On May 15th, he entered Sakata in Dewa Province from Shitomaenoseki in Mutsu Province where he visited Seifu Suzuki in Obanazawa. He was welcomed and stayed for 10 days. On May 27th, he visited Yamadera, passing through Oishida and Shinjo. On June 3rd, he boarded a boat at Motoaikai and went down the Mogami River, getting off at Kiyokawa. He walked to Toge on Mt. Haguro and called on Rogan Zushi (Sakichi Kondo ). 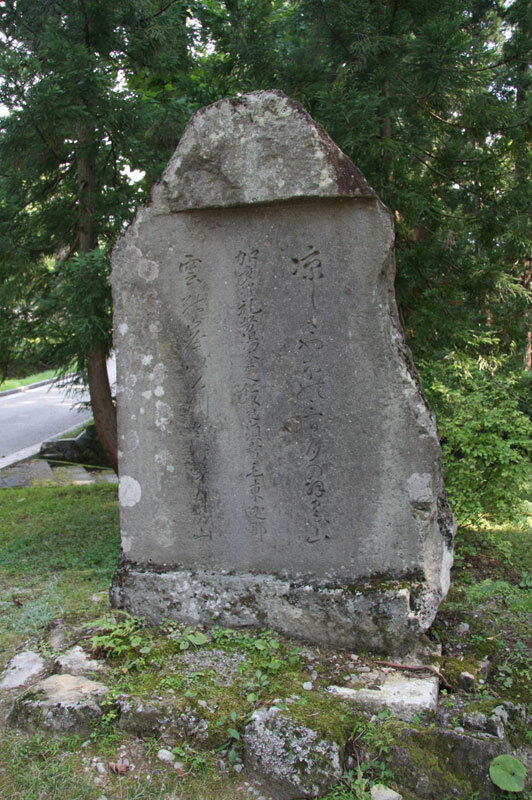 After receiving a letter of introduction from Ichiei Takano in Oishida, Rogan sought direction from Betto Egaku (head priest) of the main priest’s dwelling on Mt. Haguro. Then, after once descending the mountain, he again climbed up to Minamidani as he guided Basho there. He climbed Mt. Haguro on June 3rd. On June 4th, Basho and Sora were warmly welcomed by Egaku Ajari. At the time, the Minami-dani (Southern Valley) Branch Temple was said to have been quite large. Today all that remains is a mossy foundation, but even now the quiet visage of that time can be recalled. This haiku poem was revised after his visit to be perfected into the following haiku that mentions Minami-dani. On June 5th, he visited Haguro Gongen. On June 8th, upon recommendation from Betto Egaku, he donned the appropriate clothing and climbed Mt. Gassan since it is a sacred mountain climbed by the ascetic mountain priests. Basho endured the physical cold and the difficult climb along the rocky path to the top. It was already night when he reached the summit and the moon appeared. Basho composed a haiku from the summit of Mt. Gassan. On June 9th, Basho visited Mt. 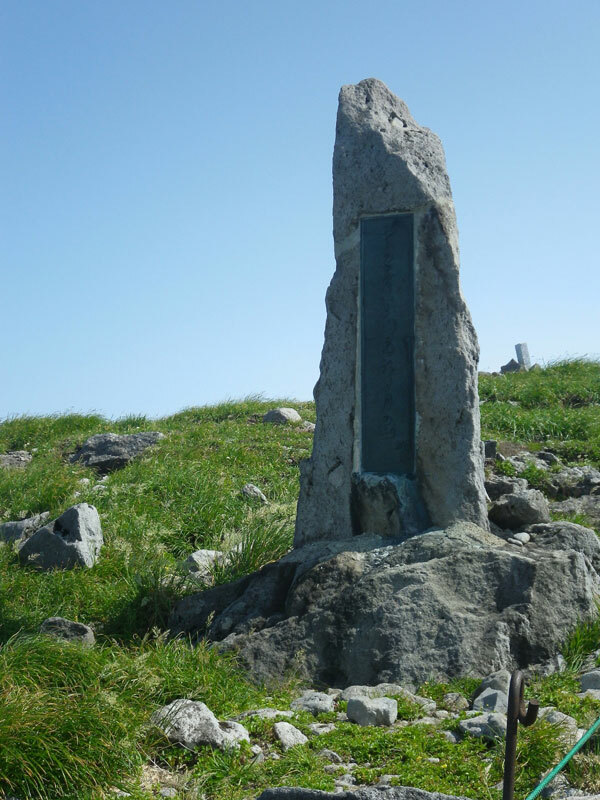 Yudono, returned to the summit of Mt. Gassan, and then went back to Minami-dani. At that time, his pupil, Juko Nagayama from Tsuruoka and another pupil from Sakata came to visit　to acknowledge Basho’s hardships during his travels. Thus, on the 9th there was a gathering of haiku poets at the temple in Minami-dani. On June 10th, the group left Haguro and went to the Nagayama home in Tsurugaoka. This journey followed in the footsteps of the poets, Saigyo and Noin as Basho set out for Matsushima and Kisakata, enjoying the picturesque scenery. For Basho, it is said to have been a search for the “world of death and rebirth.” Thus, the week spent on Dewa Sanzan became one of the great aims of the journey. Today, “The Narrow Road to the Deep North” has become an international work representative of Japanese literature. Referenced: “A Walk Through the History of Haguro Shugen: From temple town lodgings to the Mt. Haguro temple path,” Haguro Tourist Association, 2011.